Books have always been an important part of human culture used to communicate, inform and entertain. There are different types of books, some printed and some in manuscript form. The decorative element in book covers and book binding has been important in bindings of yore. Combining beauty and strength has been a historical practice. One of the definitions of book binding states it as a term applied to any process for making a book by fastening together printed or un-printed sheets of paper and providing them in this compact form with a suitable covering. Book covers can be made of paper, cloth or leather. Around 100 B.C in India religious sutras were bound together which were written on palm leaf which were numbered, had a hole and a twine passing through them. From then on book-binding travelled a long way, with the introduction of the codex, leather tooling, wood covers giving way to pasteboards, dust jackets, cloth covers, case bindings, gild bindings, glass bindings and ornate bindings using ivory. In India, writing was done on stone, metal, shells and earthenware. Also wooden board, birch-bark palm-leaves, cotton cloths and paper was used. Engraving, embossing, painting and scratching methods were used for writing. Showcased are some book bindings from the Indian subcontinent. This pair of wooden covers protected the palm-leaf folios of a Buddhist sacred text. One cover has the nine Buddhist goddesses, each holding a staff surmounted by the wish-fulfilling jewel or chintamani, while the other cover has the five transcendental Buddhas flanked by four bodhisattvas. Painted on the interior, the iconography offers a protective field to the holy text within, in this case likely the Perfection of Wisdom text, the Ashtasathasrika Prajnaparamita Sutra. Wooden cover of manuscripts, Met Museum, New York , Public Domain image. Palm leaf manuscript, Bhagavat Gita, Grantha script, 18th century, Public Domain image. The middle figure is “an Indian scribe” who is writing on palm leaves, engraving from F. J. Bertuch’s ‘Bilderbuch fur Kinder’, Weimar, 1790-1830, Public domain image. 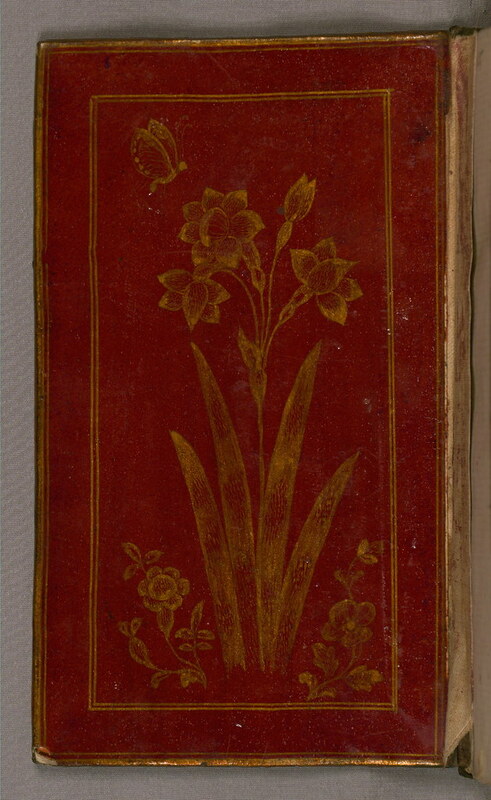 The book cover is of lacquer binding with central floral design of an illustrated and illuminated copy of the collection of poems or divan by Shams al-Din Muḥammad Hafiz al Shirazi (flourished during 13th century AH / 14th century, produced in India, most probably Kashmir, in the 19th century. Book cover, Divan of Shiraz, Kashmir, 19th century. Source : Walters Art Museum, Public domain image. The image below depicts a binding from most probably the 13th century AH/19th century. The binding is composed of lacquer and is decorated with a floral design covering the whole surface of the boards. Book binding, 19th century, India. Wooden Covers of palm leaf manuscript and with symbols of sixteen pilgrimage sites, Sri Lanka,19th century, LACMA, U S A , Public Domain images. Seen above is the end board of a Sinhalese palm-leaf manuscripts transcribed in 1874. This example is of a lac-worked Kandyan book cover comprising the traditional motifs of a string knot at either end with a single vine scroll between the punched holes and a flower around each hole with a diamond chip motif border, Sri Lanka, 19th century, Wellcome images, Public domain image. 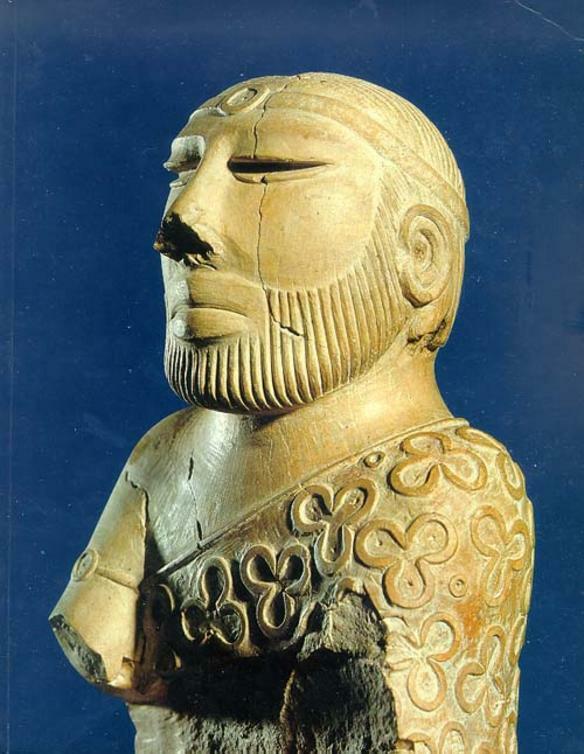 This entry was posted in Ancient Literature, art history, art history of India, asian art, Book bindings, Book covers and tagged art history of India, Book bindings, Book covers on February 7, 2019 by historyreads. Melkote or Melukote is in the Mandya district of Karnataka, about 50 km from Mysuru in Karnataka, in South India. Another name for Melkote is Thirunarayanapuram. The town is on hills Yadugiri, Yaadavagiri and Yaidushiladeepa. The temples are ancient and the area was under the Vijayanagara rulers. The Cheluvanarayanaswamy temple and another temple Yoga Narasimha temple is on the hilltop. Srivaishnavaite saint Sri Ramanujacharya stayed here for 14 years in 12th century. The Cheluvanarayanswamy temple is a square temple dedicated to Cheluvanarayana or Thirunarayana. The presiding deity has many legends surrounding it. it is believed that Lord Rama and generations of kings and Lord Krishna and generations of kings have worshipped the deity. This image which was lost was recovered by Sri Ramanujacharya who worshipped in the shrine. The temple has a collection of jewels which are brought out from Govt. custody during the Vairamudi festival every year. The Cheluvanaryanswamy temple is richly endowed, having the patronage of the Rajas of Mysore. In 1614, King Raja Wodeyar I (ruled 1578–1617), who first acquired Srirangapatnam and accepted the Srivaishnava priest as his guru, handed over to the temple and to the Brahmins at Melkote, the estate granted to him by Vijayanagara Emperor Venkatapati Raya. While that estate was lost when Zamindari was abolished in the 1950s, the temple still possesses many properties and valuables, in particular an extremely valuable collection of jewels. On one of the pillars of navaranga of the Cheluva Narayanaswami temple is a bas-relief about one and a half feet high, of Raja Wodeyar, standing with folded hands, with his name inscribed on the base. He was said to have been a great devotee of the presiding deity and a frequent visitor to the temple. A gold crown set with precious jewels was presented by him to the temple. This crown is known as the Raja-mudi (royal crown), a play on the name of Raja Wodeyar, the donor. According to legend, King Raja Wodeyar was last observed entering the sanctum sanctorum of the Lord on the day of his death, and was seen no more afterwards. From the inscriptions on some of the gold jewels and on gold and silver vessels in the temple it is learnt that they were presents from Krishnaraja Wadiyar III and his queens. Krishnaraja Wodeyar III also presented to the temple a crown set with precious jewels. It is known after him as Krishnaraja-mudi. The Vairamudi, the diamond crown, is older than Raja-mudi and the Krishnaraja-mudi. However, it is not known who presented it to the temple.Tipu Sultan had donated elephants to the temple. The Yoga Narasimhaswamy temple on top of the hill is dedicated to Lord Yoga Narsimha. As per legend the image was installed by Prahlada himself. There is large pond at the temple. Krishnaraja Wodeyar III of Mysore presented a gold crown to Lord Yoga Narasimha. The images depicted show the beautiful sculpted gateway and sculptures at the temples on the vimana and pillars. Gateway, Rayagopura, Cheluvanarayanswamy temple, Melkote. Carved pillars, Cheluvanarayana temple, Melkote. Temple tank, Cheluvanarayaswamy temple, Melkote. The Narayanswami temple at Melkote/ Vasantha, R, Mysore : Directorate of Archaeology and Museums, 1991. 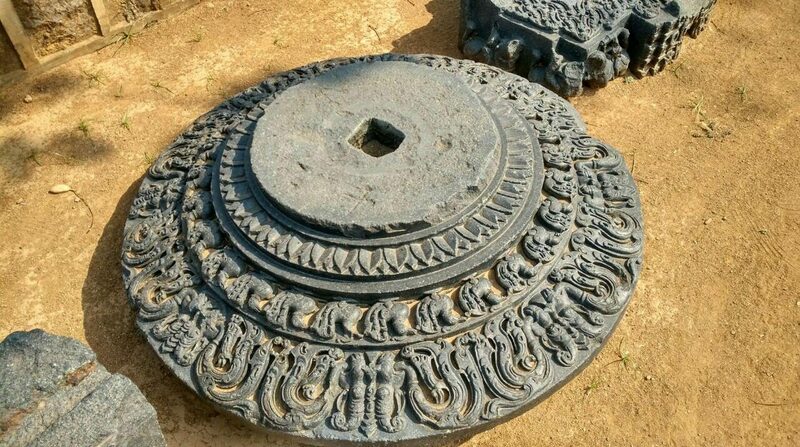 This entry was posted in art history, art history of India, asian art, Melkote, Vijayanagara art and tagged Melkote, sculpture of india, Temples of India, Vijayanagara art on March 24, 2018 by historyreads. The area of Bardhaman in Bengal has been named after the 24th Jain tirthankara Mahavira Vardhamana. The area was called Bardhamanbhukti around 700 B.C, a part of Rarh. One of the 16 janapadas of ancient India, the Magadhan dynasty, the Mauryas, the Kushanas, the Guptas have ruled it. The Gauda, the Pala, the Senas have ruled before the Khilji powers. Bardhaman was a paragana during Mughal period. Emperor Jahangir took the wife of Sher Afghan as his consort, the jagirdar of Bardhaman who was killed near Bardhaman in 1606; Meher-un-nissa, who later became Nur Jahan. In seventeeth century Raja Krishnaram Rai was made the zamindar of Bardhaman by Emperor Aurangzeb. The Rai family was the governing family of the area. Kirti Chandra Rai expanded his region and defeated the Raja of Bishnupur. 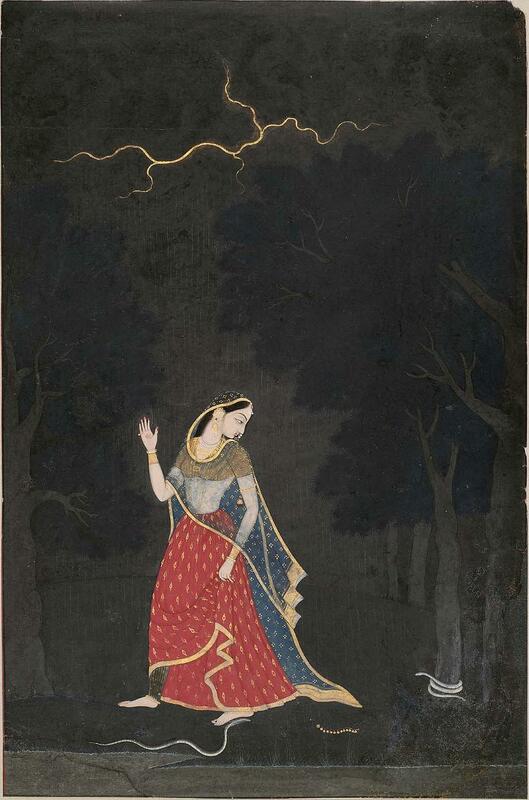 Chitrasen followed and was given the title of Raja by the Mughals in 1740. He was succeeded by Tilakchand Rai when the British acquired Bardhaman and many other areas of Bengal. Against the backdrop of many a political scene and happening, the town of Ambika Kalna or Kalna there have been lot temple building activity and construction of monuments like the Rajbari. Kalna is on the western bank of the Bhagirathi river. Kalna is home to many temples. The Naba-Kailasha temple , Bijoy Vaidyanath Temple, Giri Gobardhan Temple,Gopalji Temple,Jaleswar Temple, Krishna Chandraji Temple Lalji Temple, Pancharatna Temple, Pratapeswar Siva Temple in Rajbari complex, Rameswar Temple, Ratneswar Temple and Rupeswar Temple. A few temples are highlighted with the structures and carvings in terracotta reflecting the refined art technique of the time. Rajbari complex,Ambika Kalna, Bardhaman,West Bengal. The Naba Kailash temple was built by Maharaja Teja Chandra Bahadur in 1809 ad these atchala brick Temples are made out of auspicious numerical combination in two concentric Circles and dedicated to Lord Shiva. The outer circumference contains 74 temples and inner circumference has 34 temples. The temples represent beads in a rosary symbolically. the outer circle’s shrines have the linga made of black stone, and the inner circle’s shrines have the linga made from white marble. All the lingas can be seen from the centre of the temple complex. Naba Kailash temple, Kalna, Bardhaman, West Bengal. Inner Circle Entrance, Naba Kailash, Kalna, Bardhaman, West Bengal. The Krishna Chandra Mandir was built in 1752 by Maharani Laxmi Kumari Devi. It has 25 spires. Epics are depicted on the walls of this beautiful temple. Krishna Chandra Mandir, Kalna, West Bengal. The Lalji temple has 25 spires and is a Panchavimshati-Ratna. It was built by Braja Kishori Devi, the wife of Maharaja Jagat Ram in 1739. Built of bricks, and the walls are covered with terracotta figures. Lalji temple, Kalna, west Bengal. Lalji Temple depicting terracotta sculpture, Kalna, Bardhaman, West Bengal. This entry was posted in art history, art history of India, Bengal art, hinduism, history of india, Kalna, Temples of India, Terracotta, Terracotta temples and tagged art history, Bengal, Kalna, sculpture, Temples on September 29, 2017 by historyreads.